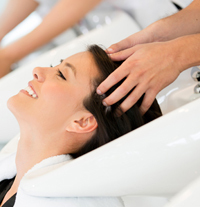 At Avalon Spa, we offer a variety of services for both men and women. Our center is always warm and welcoming, and we take a true interest in the needs of our clients. Whether you're in need of a good waxing for smooth skin or would like to try our Ideal Protein Weight Loss Program to help you lose a few pounds, we're here to help you. If you are interested in any of our services, or have any questions, please give us a call or stop by and enjoy a free cup of tea while we discuss your options with you.